International Youth Day (IYD) is an awareness day designated by the United Nations. The first IYD was on 12 August 2000. As with other political awareness days, such as Earth Day, the purpose of the day is to draw attention to a given set of cultural and legal issues surrounding an endangered demographic. International Youth Day is on August 12 each year. It is meant as an opportunity for governments and others to draw attention to youth issues worldwide. Concerts, workshops, cultural events, and meetings involving national and local government officials and youth organizations take place around the world in honor of International Youth Day. 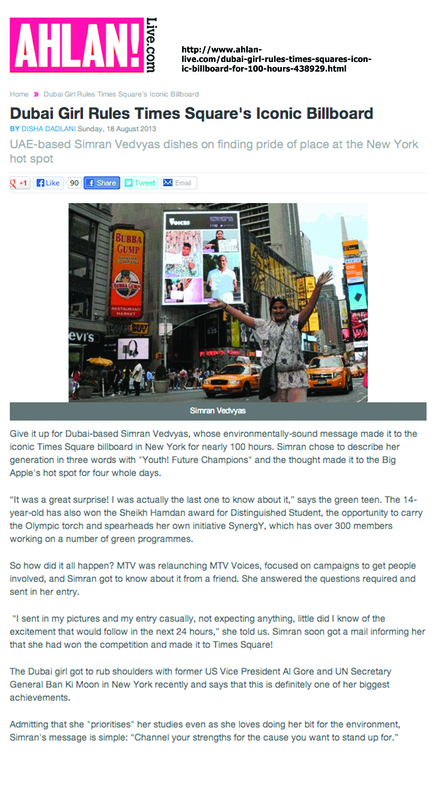 For nearly 100 Hours - every 8 minutes or less, Simran Vedvyas starred and hit the massive screens in Times Square, New York as a ‘Star Youth from U.A.E’. Her picture was up from 9th August until midnight 12th August which was International Youth Day. This initiative of MTV Voices wanted to show the world what being a young person is really all about. 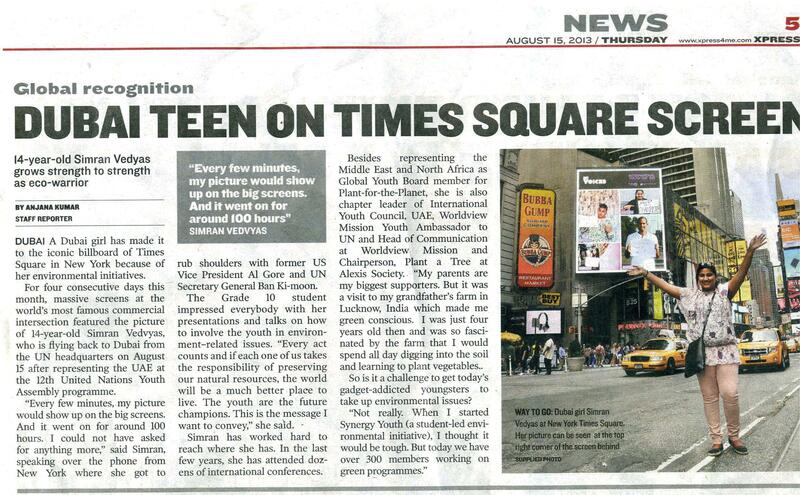 Youth from around the world were chosen to take the lead and ‘Make their Voices Heard’.